He was honoured with the Prix Benois de la Danse Award for choreography and nominated for the UK Critics’ Circle National Dance Award as Best Classical Choreographer for The Grey Area. The process of choreographing this ballet was vividly illustrated in Tim Couchman’s film ‘The Grey Area’ in Creation. Dawson created Reverence for the Mariinsky (Kirov) Ballet, for which he was awarded Russia’s highest theatre prize for visual art, the Golden Mask Award, as Best Choreographer, and became the first British choreographer to create a ballet for this legendary company. He received the Choo San Goh Award for Choreography for The Gentle Chapters and was nominated for the highest dance prize of The Netherlands, The Golden Swan Award, as Best Choreographer for 00:00. For his re-imagining of Faun(e), created for the English National Ballet’s Ballets Russes Festival at the Sadler’s Wells in London, Dawson was nominated as Best Classical Choreographer for the UK Critics’ Circle National Dance Award and the Prix Benois de la Danse Choreography Award. 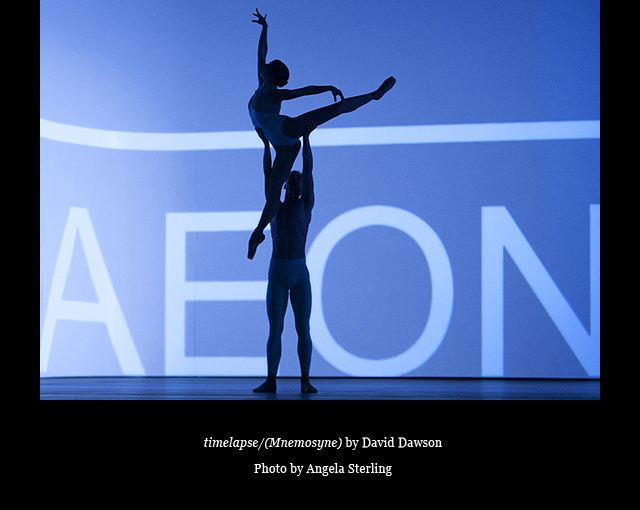 David Dawson and his Faun(e) were featured in the BBC documentary For Art’s Sake: The Story of the Ballets Russes. Dawson has created numerous ballets internationally, including his full- length Giselle, which had its world premiere at the Semperoper. Amongst other significant works are day4, On the Nature of Daylight, The World According to Us, Morning Ground, Das Verschwundene|The Disappeared, A Sweet Spell of Oblivion, dancingmadlybackwards, and his highly acclaimed timelapse/(Mnemosyne) and The Third Light. Former Rona Hart pupil, David Dawson went on to become the first British choreographer to create a ballet for the legendary Kirov Ballet company. Born in London, David Dawson began to dance at the age of 7 and received his early training at the Rona Hart School of Dance, Arts Educational School and The Royal Ballet School, where he was trained in dance and choreography. In 1991 he received the Alicia Markova Award, won the prestigious Prix de Lausanne and the same year he was offered a contract by the Birmingham Royal Ballet. Under the direction of Sir Peter Wright he was soon performing leading roles in the entire classical repertoire as well as in ballets by Sir Kenneth MacMillan, Sir Frederick Ashton, Sir Peter Wright and David Bintley. He was nominated as Best Newcomer of the Season by ‘Dance & Dancers’ magazine in 1992. 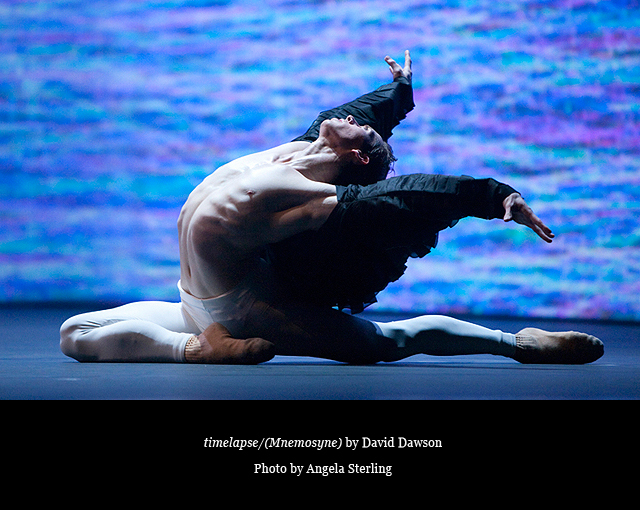 He joined the English National Ballet under the direction of Derek Deane in 1994 as a Soloist, and a year later moved to Amsterdam to perform with Wayne Eagling’s Dutch National Ballet. Here Dawson was able to continue dancing in classical productions as well as exploring more neo-classical and modern repertoire in particular the works of George Balanchine, Rudi van Dantzig and Hans van Manen. 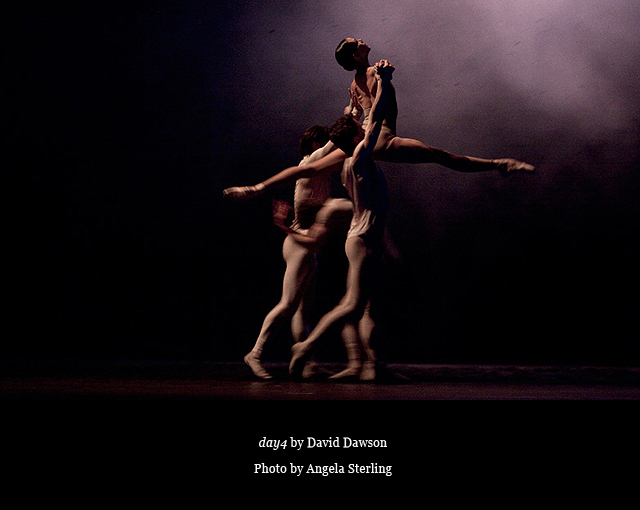 Dawson choreographed his first ballet in 1997, while with the Dutch National Ballet. Its then artistic director Wayne Eagling encouraged him to create for the company’s choreographic workshop. This experience resulted in Dawson’s first major creation for the main company, A Million Kisses to my Skin, in 2000. He danced all over the world, worked with choreographers and created roles in new ballets including works by Sir Kenneth MacMillan, Glen Tetley, Twyla Tharp, Christopher Bruce, Wayne Eagling, Ted Brandsen, Mauro Bigonzetti, Itzik Gallili, Redha, and Christopher D’Amboise amongst others. Subsequently, he joined Ballett Frankfurt, where he worked with William Forsythe and performed for two more years before deciding to devote his time to creating his own new works. 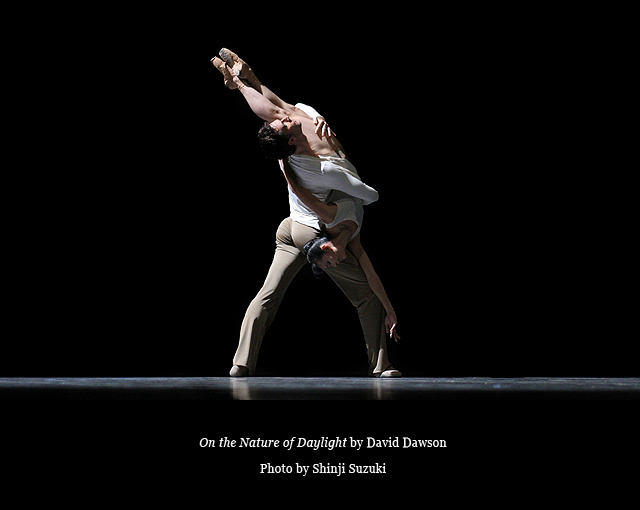 Between 2004 and 2012 David Dawson was Resident Choreographer for the Dutch National Ballet, the Dresden Semperoper Ballet and the Royal Ballet of Flanders, and has worked with many ballet companies, including Boston Ballet, Ballet National de Marseilles, Het (Dutch) Nationale Ballet, Dresden SemperOper Ballett, English National Ballet, Finnish National Ballet, Hungarian National Ballet, Norwegian National Ballet, Mariinsky (Kirov) Ballet, Pacific Northwest Ballet, Royal Ballet of Flanders, Royal New Zealand Ballet, Royal Swedish Ballet, Singapore Dance Theatre, West Australian Ballet, Aalto Ballet Theatre Essen, Slovenian National Ballet, Ballet du Capitole, Vienna State Opera Ballet. 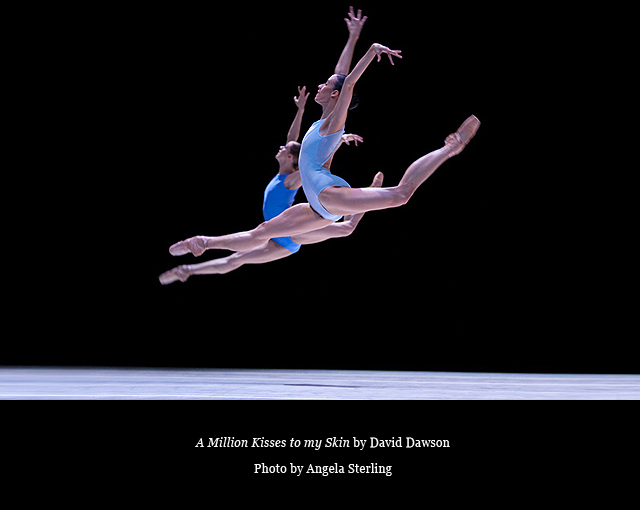 This season David Dawson will be creating new works for two companies he has a special connection with. 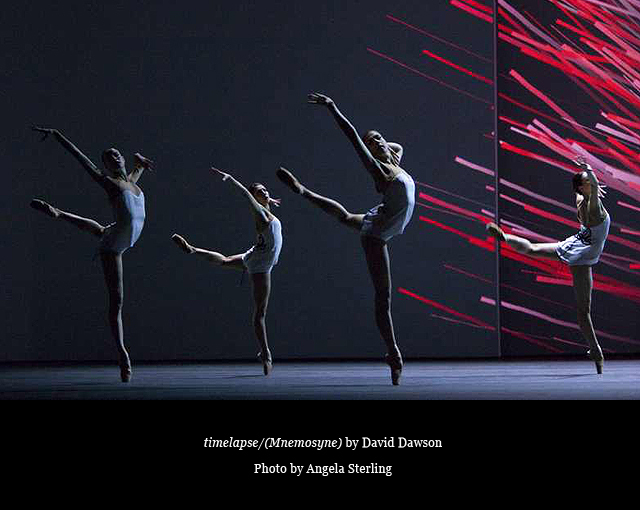 On 15 June 2013 a new ballet to a commissioned score by Szymon Brzoska will have its world premiere with the Dutch National Ballet as part of the Holland Festival, and on 10 July 2013 Dawson’s Opus.11 created to music by Greg Haines will see its world premiere at the Semperoper in Germany.